A blueprint for an MIT plane propelled by ionic wind. Imagine airplanes with quiet engines that have no moving parts and that don’t burn smelly fossil fuels. 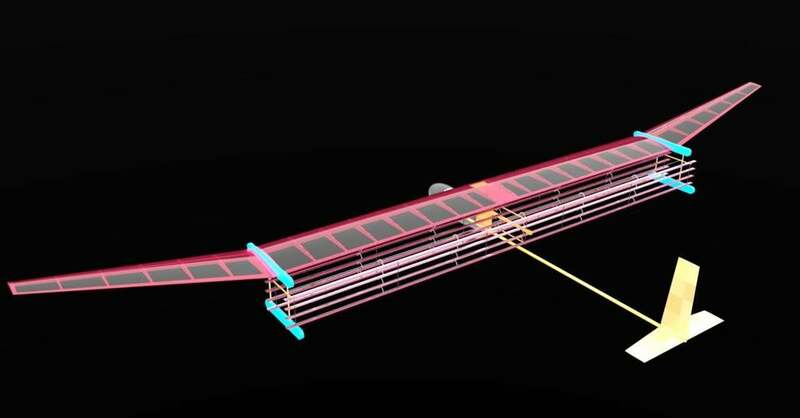 MIT researchers say they’ve taken another step toward building such aircraft — which could someday resemble the silent shuttlecraft of science fiction — by using a type of propulsion called “ionic wind” to fly a small unmanned glider. Barrett and his team have published their results in the journal Nature. If you apply voltage to a pair of electrodes, a wind can be produced between them. This is called ionic wind, or electroaerodynamic thrust. It happens when one electrode strips electrons from air molecules, and those ionized air molecules are drawn to the other electrode, pushing uncharged air molecules along their way. The phenomenon has been known about for years, and you can find videos on the Web of hobbyists making desktop “lifters” that create a tiny amount of thrust and hover a few inches above a desk. It was largely assumed it would be impossible to produce enough ionic wind to propel something larger, researchers said in the statement. But Barrett’s team has found differently. A time-lapse photo of the glider in actual flight. Barrett said he was partly inspired by the “Star Trek” movies and television series — and their portrayal of silent, effortlessly flying shuttlecraft. Barrett’s team produced a glider that has a 5-meter wingspan but weighs only about 5 pounds. The plane is outfitted with electrodes on its wings. No jet engines, no propellers involved. The plane is powered by a stack of lithium batteries that supply, via a power converter, 40,000 volts to the electrodes. 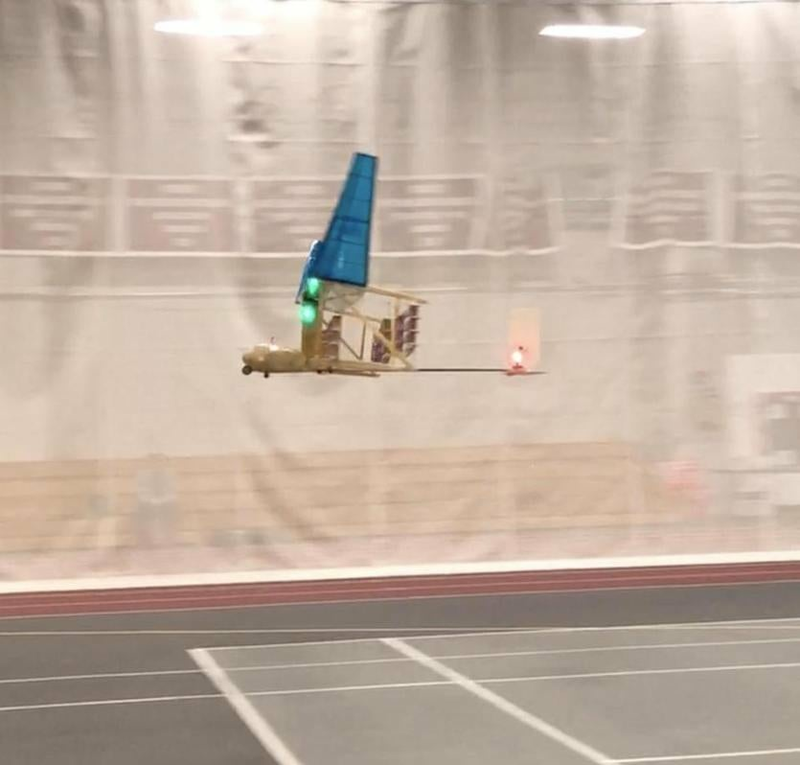 The team has flown the glider multiple times about 55 meters (plus a 5-meter bungee launch), across a gym at the university. An artist’s impression of a glider flying outside someday. Barrett said that in the near term, the propulsion system could be used to make quieter drones. In the distant future, Barrett said, he could see ionic wind combined with more conventional combustion systems to fly passenger planes and other large aircraft. “We show that conventionally accepted limitations in thrust-to-power ration and thrust density, which were previously thought to make electroaerodynamics unfeasible as a method of aeroplane propulsion, are surmountable,” the paper said. The paper closed with a reference to the world-changing moment when the Wright Brothers flew their airplane at Kitty Hawk. “The flight distances of 55 [meters] and durations of 12 [seconds] for the heavier-than-air aircraft with solid-state propulsion described here compare well with the powered flight of the first heavier-than-air aircraft propelled by moving surfaces at Kitty Hawk, North Carolina, USA, 114 years ago. The Wright brothers achieved a flight of 35 [meters] lasting 11 [seconds] — although they did have to carry a pilot rather than a remote control unit,” the paper said. 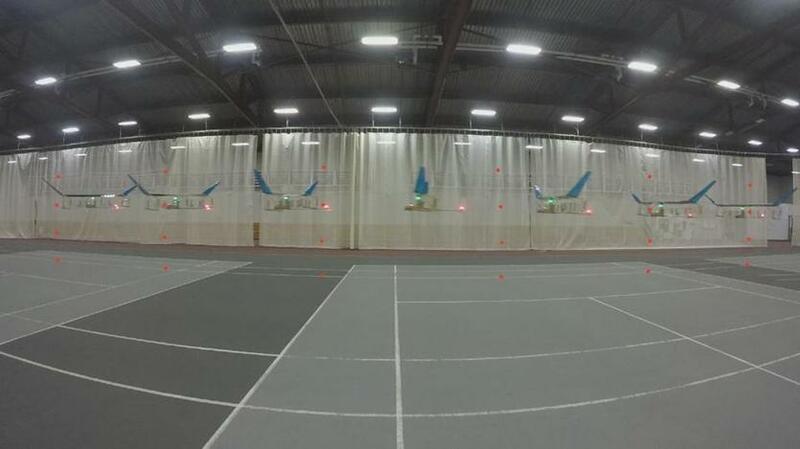 Another image of the glider in flight in the gym.